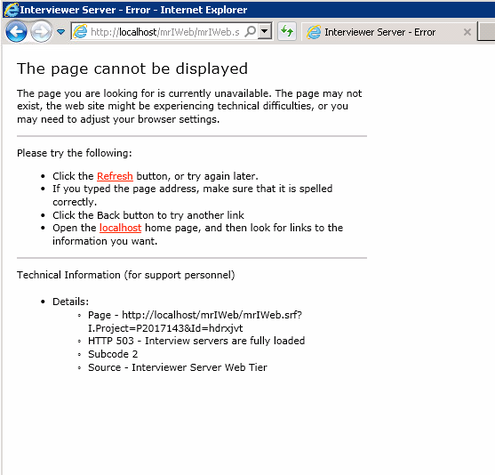 Unicom Data Collection (mrInterview) does not show nice error messages, when something goes wrong. The picture to the right shows one message and most respondents would just navigate away from the page - being lost forever. This Tutorial shows how to change the IIS settings and enables to create your own messages. You need to have full access to the server via remote desktop and you need to be an administrator to make these changes.